The Kingdom of heaven simply put consist of those over whom God reigns, the church (ekklesia), the called out ones. The Kingdom, then, involves Jesus’ Lordship and rule. It refers to the Reign of God which has come in the person of Jesus Christ himself, and will culminate in the Second Coming of Christ and his reign on earth. Between these two “comings” we have the ekklisia, the church, over whom Jesus Christ is the head. The Kingdom is now in the presence of the King in our lives through His Spirit, realized by His Appearing a “second time, apart from sin, for salvation” (Heb. 9:28). Jesus Christ came once to accomplish His atoning work then entered into heaven opening the way of access to God. In the future, He will reappear to consummate our salvation, the Kingdom of heaven then is an age of time between his two Comings where He reigns over His Church. When you hear the word leaven, what comes to mind? Bread? Alcohol? Another name for leaven is yeast, a fungus which has a fermentation process converting carbohydrates to carbon dioxide and alcohols. 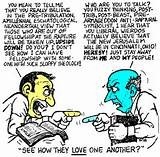 In Scripture leaven is always typified as evil, malice, and corruption, hence the saying, “A little leaven leavens the whole lump.” This proverbial saying occurs verbatim twice in the New Testament, both by the same author (Gal. 5:7-9; 1 Cor. 5:6). In the context of Galatians 5:9 its meaning is of false teaching while in 1 Corinthians 5:6 leaven implicates immorality. In general, leaven is always described in Scripture as either false doctrine or immorality, typically, where you find one you will find the other as both walk hand in hand. The opposite is obedience to the truth. “You ran well, Who hindered you from obeying the truth? This persuasion does not come from Him who calls you. A little leaven leavens the whole lump” Gal. 5:7-9. Here, Paul severely condemned the false teachers who were hindering, persuading and troubling the Galatians. In this context, believers look forward by the Spirit to being accepted by God on the grounds of faith, not law. The reference is to the end of the age, when God pronounces the final verdict of acquittal upon believers as they experience the blessings of eternity (Gal 5:5-6). Doctrinal and Moral purity are indispensable to the overall spiritual health of the Church. A little of either will open the floodgates of error, false doctrine, and corruption to open upon the Church. The pervasive power of leaven (False Doctrine, Immorality) is like a contagion spreading the disease through the whole body. Leaven by its very nature, swells, the living organisms in leaven grow overnight, so that by morning the entire quantity of dough has been affected. It produces fermentation in dough or in liquids such as Alcohol. Biblically speaking, leaven is described as reflecting the future corrupting influences in the Church, in particular, as the Church draws near to the end of the age. Because leaven is invariably used in Scripture to signify that which is corrupt and unsound, the typical meaning of leaven must be in full harmony with its usage throughout the New Testament. Another parable He spoke to them: “The kingdom of heaven is like leaven, which a women took and hid in three measures of meal till it was all leavened” (Matthew 13:33). In this brief sandwiched parable, Christ develops His teaching of the previous parable sandwiched in between the proclamation and explanation of the Parable of the “Wheat and Tares.” In the Parable of the Wheat and Tares Christ explains to HIs disciples the meaning of the parable, Christ tells them that “the harvest is the end of the age; and the reapers are the angels. Therefore just as the tares are gathered up and burned with fire, so shall it be at the end of the age” (Matt. 13:39-40). Understanding that the Bible teaches the “end of the age” is the time of the final harvest, the time of separation between the righteous (wheat) and the unrighteous (tares), it becomes clear that the Parable of the Leaven and Meal describes the continual and total corruption of the church, not just through history, but in particular, as the end of the age commences. 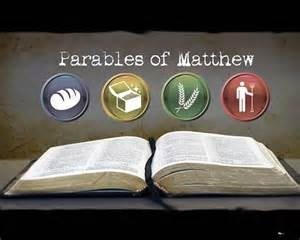 In all four Parables listed in Matthew 13, each teach a truth which is consistent and progressive. In the Sower, the rejection of the Divine Word. In the Wheat and Tares, opposition to the Divine Work. In the Mustard Seed, abortion of the Divine Design. And in the Leaven and Meal a corruption of the Divine Agency, the church.1 The popular interpretation of the Parable of the Leaven and Meal is on the side of misinterpretation as many have attempted to harmonize this Parable with what is thought to be the Christianizing of the entire world. They attempt to describe the leaven as the conquering power of the Gospel however this interpretation contradicts the symbolic use of leaven in Scripture and in addition, it contradicts the teachings of the other Parables in view. As noted above, Paul taught, “a little leaven, leavens the whole lump.” Thus as Christ taught a mixture of Wheat and tares growing together, here in the Parable of the leaven and Meal we see a mixture of truth and error as the women takes leaven concealing it within the meal (for the sake of clarity, “meal” is flour). Leaven is illustrated in Scripture as evil, corruption, and false teaching, thus here in this parable giving a demonstration of the way in which Satan militates against the truth. In hermeneutics there are many laws of interpretation, one of which is called the first occurrence principle, or the law of first mention. It is the principle that requires one to go to the portion of Scripture where a word, phrase or doctrine is first mentioned in order to get the fundamental inherent meaning. Then, in the Scriptures the growth and development of the word, phrase or doctrine is illustrated even though it may have increased its meaning and undergone certain changes, the basic, original and fundamental thought is seldom lost. The first mention provides us with the simple meaning, then further study shows its development in its complexities. Genesis has been often called the seed-plot of the Scripture and is properly called “the book of beginnings.” So it is there we will briefly look at leaven/unleaven, to get a proper understanding of its meaning and use in Scripture. Unlike leaven bread, unleavened bread was baked from unfermented dough and was used in the Passover celebration and the priestly rituals. The exclusion of leaven from ceremonial breads symbolized purity and in Genesis 19:3 we find the first time that leaven in its negative form is used, Lot broke un-leavened bread for the angels and “they did eat.” In Sodom, leaven was a common commodity, yet Lot placed unleavened bread before the angels, why? Because he know better. Nothing common or unclean could pass their lips. The next reference to leaven is in connection with the Israelites in Egypt who just prior to their departure from the land of Egypt received God’s command; “Seven days you shall eat unleavened bread. On the first day you shall remove leaven from your houses. For whoever eats leavened bread from the first day until the seventh day, that person shall be cut off from Israel.” Exodus 12:15 Why such a rigid command against leaven? The answer is simple, any form of fermentation is a process of corruption! Bread was only pure if it was unleavened, un-fermented, uncorrupted. You can follow this thought throughout the Old Testament and into the New only to discover that leaven is never used to describe something as good or pure. Jesus used the word leaven in an evil sense to illustrate the “fermentation” of moral, religious and political corruption; “Take heed and beware of the leaven of the Pharisees and the Sadducees” Matt. 16:6-12. Much like then, so too today, leaders of the professing church are artful, plausible, concealing the real tendencies of their doctrines. The Pharisees and Sadducees were antagonists in theological matters representing two doctrinal extremes. They were masters of division! No time in history have we seen how the Church has corrupted Christian doctrine as it does today! The Church has been leavened where ever false doctrine prevails. The greatest leaven of Modern Christianity is that of the Institutionalized Church which has become the apostate church in this writers opinion. We have an over abundance of paid professionals in the pulpit with badly skewed and bibilically incorrect doctrines and the predictable juggernaut of abuse that comes to anyone who should ever have the misfortune of disagreeing in any way with their leadership. The dubbing down of sound doctrine has left those in the pews biblically lethargic lacking any discernment to their complacent condition without any realization they have become leaven. Taking into account that leaven is emblematic of corruption, deceit, and error in Scripture, a closer look at the Parable of the Leaven and the Meal provides us with a clear visual of what Christ depicts the church would face, not only throughout history, but in particular, at the end of the age as apostasy escalates to its finale, the appearance of the man of sin (2 Thess. 2:3). By nature, in the Parable of the leaven and meal, leaven is cryptic as the woman took the leaven and hid it in three measures of meal until all the meal was leavened. The Greek word for “hid” is egkruptō meaning; to conceal in, that is, incorporate with. The first question that must be answered then is, who is the women? Only after we identify her can we then realize how and why she conceals leaven within the meal. The Bible uses the figure of a “women” in several ways. As a Kingdom; (Isaiah 47:5). As a City; (Jeremiah 6:2), Israel was pictured as God’s adulterous wife and the coming federation of apostate religions as “the great whore,” however the church is figured as the Bride of the Lamb, the wife of Christ. The women depicted in this Parable cannot be the true church as she conceals the corrupting influences of apostasy within. The true church is described in Scripture as a chaste virgin (2 Cor. 11:2). This women then is the counterfeit to the true, she is the tare amongst the wheat, the apostate religion induced within the ranks of Christendom, she is the religious system of the institutionalized church. The meal (flour), is the soul-food of Scripture corrupted by the hindering, persuading and troubling effects of leaven. Now I realize that Jesus’ teachings in parables where stories from everyday life told by way of analogy to illustrate spiritual truths. I also realize the dangers in interpreting parables and how one should guard against allegorization, staying primarily with the major point of the story. When looking at the Parable of the leaven, considering its context and realizing its symbolic significance, it is clear this parable is describing both the secret hiding and the scattering of false doctrine. Paul dealt with it with the Galatians (Gal. 5:5-9), false doctrine was brought to the Early Church by way of false brethren unawares (Gal. 2:4; c.f. Acts 20:17-31). Peter spoke of how false teachers brought in their damnable heresies privily (2 Pet. 2:11-12), and Jude spoke of those who crept in unawares to corrupt the saints (Jude 4,5). All of these examples feasibly are the emulation effects of this one simple parable of leaven. The institutionalization of the Church is seen occurring in the 4th Century and by the 19th and into the 20th Century denominationalism permeated all that is called Christianity. And here in Matthew 13:33 we see how the women acted deceitfully and by stealth introduced a foreign and corrupting element into the meal to cause the ascent of corruption to effect the whole. Jesus is giving us a snapshot of what the church will appear to be just prior to His return. And in essences, the “meal” is doctrine in its purist form, it is the communion between Christ who is the Bread of Life and His Body, the Church. His doctrine is the Church’s most precious deposit and the purity and maintenance of His doctrine is the churches responsibility. 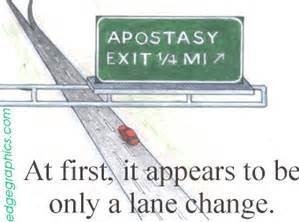 We are witnessing how the institutional and denominational Church has adulterated it with leaven, hence, the apostasy expands until it reaches its full. 1. Lockyer; All the Parables of the Bible, p. 190 The Parable of the Leaven and Meal. This entry was posted in Eschatology, Institutional Church and tagged Apostasy, Deception, Doctrine, End Times., Eschatology, false doctrine, Leaven, Parables, Sound Doctrine by Mike Rogers. Bookmark the permalink. Thank you I enjoyed reading this! And yes I agree with all that is said.